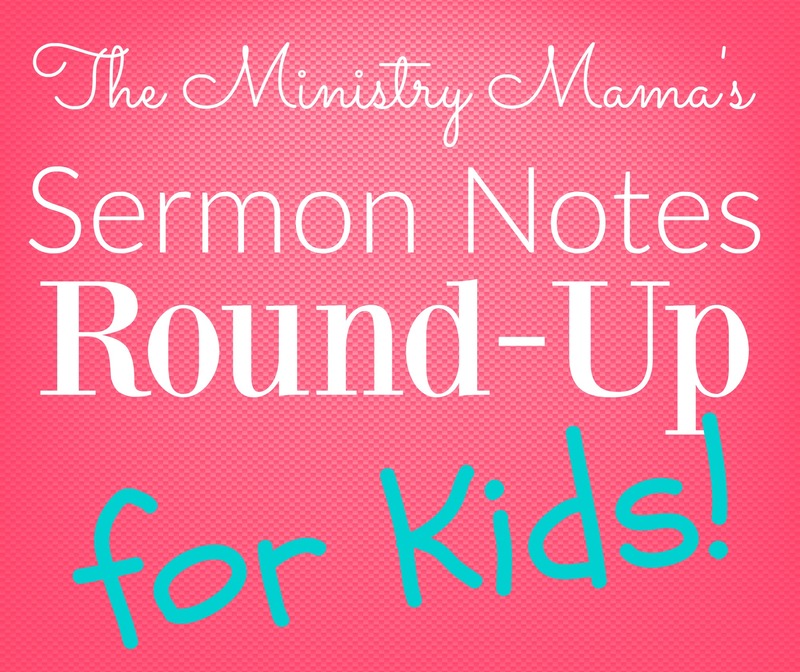 This week I have done a Sermon Note Round-Up for kids! Sometimes children who grow up in church can get bored with the routine sitting in church listening to long sermons scenario. Having a ready sermon note sheet for your child(ren) may help them to pay attention more to listening to the service. Many of these sheets have various activities printed on the paper besides a note-taking section. Explore the different styles and see what might work best for your child’s age and maturity. Another idea: Make these sheets available for all the children in your church. They may help children who may be new to the concept of sitting in a regular church service as opposed to being in a regular children’s service during the worship hour, particularly those who may be guests or children who only come to church on Sunday mornings. Don’t be afraid to challenge children to better listen to and incorporate God’s Word in their lives by using a tool like this. It can help them grow spiritually and teach them to sit more attentively in the church service. I can’t promise that a sheet like this won’t be used for passing notes from time to time but I do believe that it can be a resource to direct their focus on the Lord. Right now I am working on a set of sermon note sheets for missions conferences!! They will be available within the next week or two. I am very excited to be back involved in providing ministry and Christian parents with tools they can use for their families and in their ministries. Non-Readers Printable Listening Pages Mama’s Learning Corner that encourage kids to trace Bible-centered words and other activities: Regular Sunday pages, Christmas, Resurrection Sunday pages. Amy at Raising Arrows has created Listening Pages for Readers, five different pages for regular Sundays, some different pages for holidays as well. They have a section for notes and a list of common words used in church where the kids can make tally marks when they hear it. Monica at Living Simply for God has created My Sermon Book for her four children to use at church. She has some different types of activity pages like: Keyword Alphabet & Count, Keyword Scrabble, and Hangman. Sermon Notes for Kids by Beth Gorden at 123 Homeschool 4 Me has four different types of printable sheets to use. Church Focus Cards at Cornerstone Confessions are made to print on 3×5 note cards for younger elementary children. Scroll down the page to find the downloadable page. Kim Sorgius shares the sermon sheets she uses with her children in church as well as her philosophy on why she uses note-taking pages with her children in church at Not Consumed. Stacey at A Moment in Our World has a very simple sermon note-taking sheet available. Do Not Depart also has a simple sheet for early elementary level note-taking with a large space to draw a picture and a place for the main idea. Kyleigh Kite at Becoming Blameless has created four different grade-level sermon sheets for Pre-K to Kindergarten, first and second grade, and third through sixth grade, and a sheet to help make application at home through the week. In order to download these (whether free or for purchase) you must have a Teachers Pay Teachers account. It is free and easy to sign-up. Jill Connelly has created a Sermon Notes for Kids spiral book that you can find at Truth Steps Publishing. Ages 6-12, 144 pages. There is also a Teen Sermon Notes book and a Creative Sermon Notes for adults. Recently published is called Busy Books: Sermon Notes, created by an eighteen year old homeschooler and her mother, Madison & Darlene Schacht (The Time-Warp Wife). Cost: $9.99 There are enough pages in the book for 3 services a week throughout the entire year. If you know of a similar resource please include the link in the comment section below! When God Closes a Door – What do you do?